Unlike some of our readers, I grew up during the 16-bit system wars and landed decidedly on the Nintendo side (shocker!). This was long before message boards and social media existed, so really it was a bunch of friends arguing over which was best. To be fair, everyone in my group was invested in Nintendo systems and games, but that doesn’t mean I wasn’t aware of the rivalry. Sega made it known to everyone via in-your-face print ads and controversial television spots. So, when they launched Sonic the Hedgehog a month before the Super Nintendo and Super Mario World hit store shelves, Sega and many of the magazine made sure gamers knew that “the next big thing” had arrived. Being in Nintendo-land I sort of dismissed the release and went on to enjoy my shiny new toy, but a few years later I was ready to go multiplatform thanks to the promise of CD technology and purchased a Genesis that came packed with the original Sonic game. I found it to be fun and exciting in its own right, which was an impressive feat since every single game company under the sun had a mascot platformer and most of them left much to be desired. Sonic the Hedgehog was able to hang with the big dogs, and for that it remains a classic worth checking out even today. Over the years there have been dozens of ways to play the original Sonic game. Chances are if you’ve had the slightest bit of interest you probably already own it on a compilation disc or as a download via one of the many digital storefronts. Still, the best way to play it might just be on the Nintendo Switch. That’s because you get the best of both worlds: on the go in handheld mode and on the big screen in docked mode. Plus, this one is developed by M2; a company well known for their extra care in creating exceptional ports, often with a bevy of options that wasn’t there for the original. This one’s no different and the small tweaks are nice additions. Probably the biggest change is that Sonic’s dash from Sonic 2 has made it into the original. This changes up the gameplay and allows players to more easily access areas that were slightly out of reach before. There’s a built-in stage select for those that just want to skip around and tour the various levels of the game, or likewise for those who find the game a bit too difficult (no judgment here). You can even turn on a mode that allows you to keep more of your rings even after an enemy has hit you. OK, I’ll throw a little judgment your way if you toggle this on! For those looking for more of a challenge you can take on the time attack and score attack modes to push yourself harder. Graphically the game looks just like it did in 1991. The colors are vibrant and there’s plenty of parallax scrolling. One of the things that set Sonic apart from any other games up to that point was the sense of speed. The Super NES had a notoriously slow CPU, which meant games (especially early ones) seemed to scroll at a slower speed. Sonic was like a breath of fresh air with his ability to soar across the screen at amazing speeds. This version features some toggles that you can turn on or off. Things like screen smoothing, scan lines, and pixel-perfect modes are all available. These types of enhancements are somewhat expected these days, but it’s nice to see them included here. All of the great music and sound effects are present in all their 16-bit glory. I’ve always had a soft spot for the Sonic soundtracks and nothing quite beats the Marble Zone of the first game! The game sounds fantastic through stereo speakers and also on the Switch itself. The lack of a d-pad doesn’t hinder the game at all and I found the Joy-Con controllers performed admirably. In fact, when playing on the TV I was using the Pro Controller and even the d-pad on there worked flawlessly. At the end of the day you already know if you’re going to pull the trigger on SEGA AGES Sonic the Hedgehog. This is the first in this retro line and if they continue to keep the quality this high we’re in for a treat. The game runs perfectly on the Switch and there aren’t any small hiccups or performance issues to speak of. Whether you grew up playing this 16-bit classic or you’re just curious to see what all of the fuss is about, you can’t go wrong adding this one to your Switch menu. Coming in at $7.99 seems like a fair price, although we must mention that there is a Genesis compilation coming out later this year that will have this game an a bunch of others. It’s unknown whether the port job will be as accurate as this one is, but it might be worth waiting it out to see. If you want an accurate port of Sonic the Hedgehog on your Switch, then this is your ticket! It’s fun to play on the go or at home on the TV and there are enough little bells and whistles added in to make it worth your while – even if this is your tenth time buying the game! 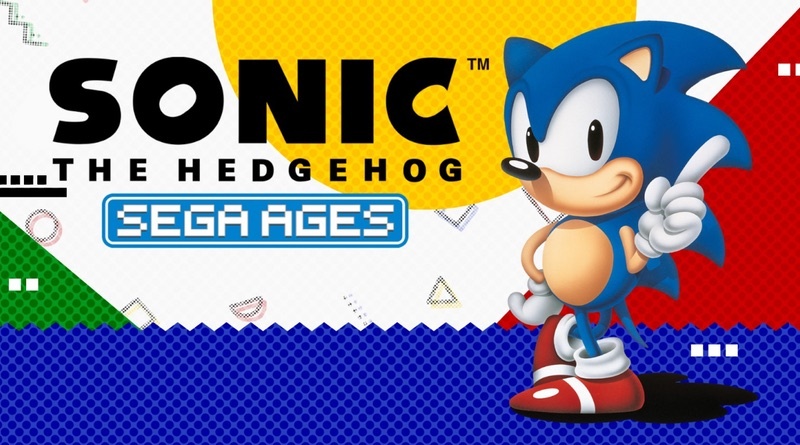 SEGA AGES Sonic the Hedgehog was reviewed using a final retail Nintendo Switch download code provided by the publisher.